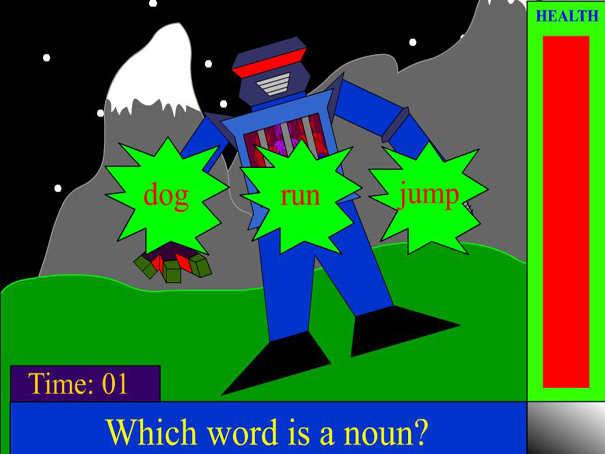 This game provides practice in identifying the different parts of speech in English: Nouns, Verbs, Adjectives, Adverbs, Pronouns, Prepositions and Conjunctions. You have to spot the correct type of word in the group before the robot can reach you. Complete the 7 rounds as quickly as possible and see if you can Save the Hooshies!